Forget planning that trip to Disneyland — according to those in the know, family travel in 2013 promises to get Mom, Dad and the kids to farms, museums and even immersed in foreign cultures, all with grandma in tow. Other trends spotted by AOL Travel, Parenting.com and Turner PR include super-sized Ferris wheels, leveraging social networking for family-friendly recommendations, more cruising options and volunteer vacations. 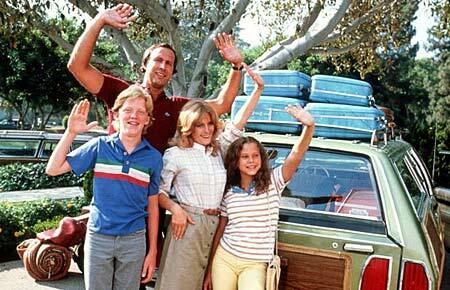 Family travel is predicted to increase in 2013. The good news is that no matter where you plan to travel with the rugrats in 2013, you won’t be alone. A recent survey of industry experts taken by Travel Weekly and Family Travel Network found that family travel is on the rise, and it’s expected to increase this year. 1. A multigenerational escape to Arizona. “Togethering” — the practice of inviting grandparents along to babysit, er, bond — has been going strong for years. We believe in the importance of a grammy to share experiences from wine tasting to horseback riding, and she will get to experience them vicariously just as soon as we return from our Sedona and Saguaro National Park adventures. 2. Since visits to far-flung destinations are growing in popularity, we will be going to Arkansas this spring. We want to expose our children to diverse cultures and alternative lifestyles, where the laundry room appliances are located on the porch. 4. Finally, who are we kidding? It’s not really a vacation when the kids are in tow. Perhaps this fall we can live it up child-free somewhere decidedly non-family-friendly, like in Tuscany or Argentina’s wine country. Dare to dream! This entry was posted in Travel and tagged DIY trips, family travel, family travel trends 2013, friendsourcing, multigenerational travel, observation wheels, togethering, top family vacations, travelling with kids, voluntourism. Bookmark the permalink. I’m one of those who’d advocate family travels. Best way to “connect” !